The Georgia Democrat accused her Republican opponent of abusing his power. Stacey Abrams, the Democratic candidate for the governor of Georgia, has accused her Republican opponent and current Georgia Secretary of State Brian Kemp of abusing his power by leveling “cooked up” hacking allegations. By Monday morning, Abrams took to the airwaves to push back. “In fact, I think he cooked up the charge because he realizes once again he has left six million voters’ information vulnerable and this happened twice before,” Abrams told George Stephanopoulos on “Good Morning America” on Monday, likely in reference to a pair reported data breaches in Georgia in 2015 and 2017 that exposed the information on millions of residents. (John Bazemore/Reuters) Democratic gubernatorial candidate for Georgia Stacey Abrams speaks, as Republican candidate Brian Kemp looks on, during a debate in Atlanta, Oct. 23, 2018. Picture taken on October 23, 2018. Stephanopoulos noted that Kemp had declined to appear on the broadcast, but at a rally at the DeKalb Peachtree Airport on Monday, Kemp addressed the controversy for the first time, telling reporters that he was not concerned by perception of the announcement. In a statement on Sunday, Kemp’s office said they had officially requested the FBI to investigate the matter. The FBI declined to comment. The Department of Homeland Security said Sunday that the State of Georgia had notified the department about the issue but declined to comment further. The Georgia Bureau of Investigation, the state’s independent investigative agency, confirmed on Monday that its Georgia Cyber Crime Center will conduct an investigation at the request of Kemp’s office. On Sunday, the party published two emails that purport to show a private individual who pointed out potential vulnerabilities in websites used by Georgia residents to print sample ballots and registration information that the individual suggested could allow a hacker to steal or manipulate registration information. David Cross, an attorney who has been involved in cybersecurity-related litigation against the Georgia Secretary of State’s office, told ABC News he was also alerted to the potential vulnerabilities by that same individual. He said he contacted the FBI – in an email exchange he shared with ABC News -- and an outside counsel for Kemp on Saturday. Election security researcher Matt Bernhard, a post-graduate student at the University of Michigan who serves as a security expert in Cross’s lawsuit against the Secretary of State’s office, told ABC News he was asked by someone involved in that litigation to review the claims. He said he verified them as far as he could by analyzing the sites’ source code, but Bernard and other cyber security experts told ABC News that fully verifying the issues would have required potentially running afoul of the law. 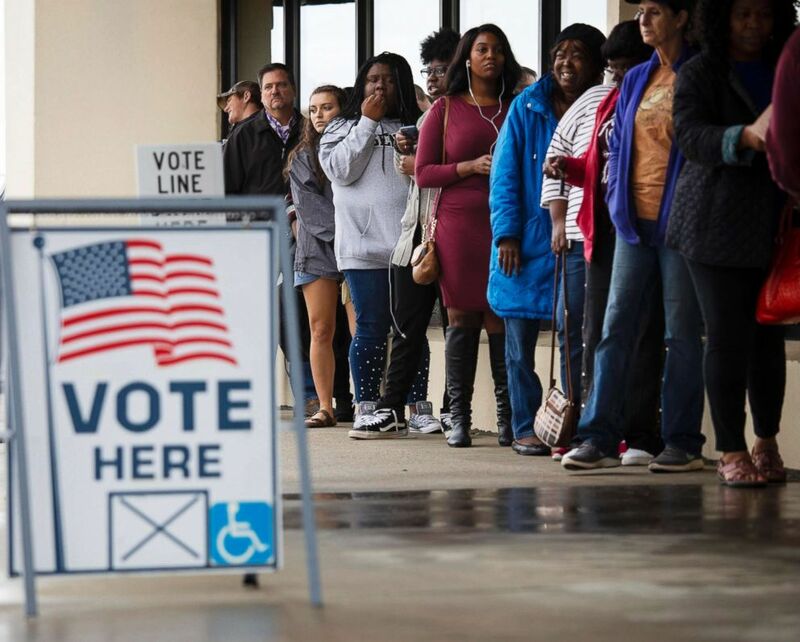 (Ruth Fremson/The New York Times via Redux, FILE) Voters line up to cast their ballots early in Macon, Ga., Nov. 2, 2018. Bernhard outlined his findings in a blog post, which was reviewed by Adam Meyers, vice president of intelligence at the cybersecurity firm Crowdstrike, at ABC News’ request. Meyers told ABC News the vulnerabilities as described were potentially serious. “There are huge issues here,” Meyers said, both because of the potential for political mischief and for cyber-criminal groups who specialize in stealing and selling personal information. “To be clear, those webpages are not linked to a location containing files with confidential or sensitive information,” Broce said in a follow-up statement. This is not the first time Kemp has raised allegations about attempts to infiltrate the secretary of state’s computer network. Just days after the 2016 presidential election, Kemp requested a federal investigation by the Department of Homeland Security, citing 10 suspected unauthorized attempts by DHS personnel to penetrate the state’s firewall. A report from the Inspector General of DHS released in July 2017, concluded that allegations were unsubstantiated. The investigation determined that the activity flagged by Kemp was the “result of normal and automatic computer message exchanges,” and that there were no unauthorized intrusion attempts. 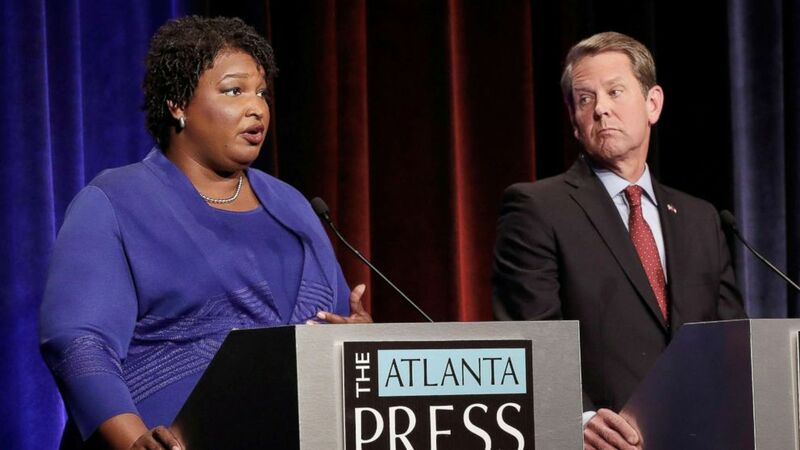 The race between Kemp and Abrams, who could become the nation’s first African-American woman to be elected governor, has been close and contentious. As of Monday afternoon, FiveThirtyEight’s gubernatorial forecast showed Abrams and Kemp locked in a tight contest, with Kemp holding on to a very small advantage. David Cross's interview was featured in the Monday, Nov. 5, 2018, episode of ABC News' daily news podcast, "Start Here."